Happy Saturday all. 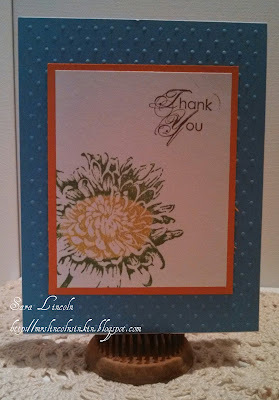 Today's card is a Thank You note that i did using the Blooming with Kindness stamp set. 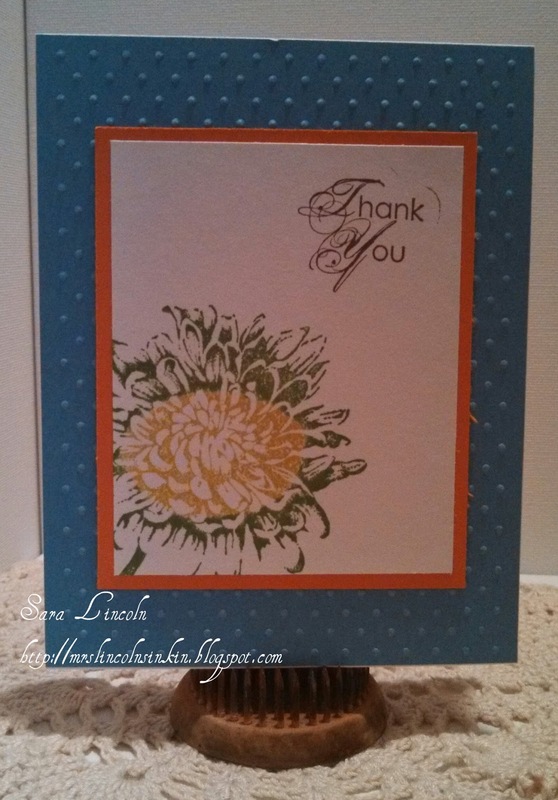 I used Pumpkin Pie Card Stock and Marina Mist Card Stock. I don't know what it is about Blue and Orange but i just think that they look awesome together!! For the flower i did the Roll Around Technique again. LOVE this technique. I did a video tutorial on that technique, to see that click HERE. Well i hope you enjoyed today's card! Until next time... Happy Inkin'! !